The ad read: Ramsgate’s Got Writing Talent. I thought, has it? Or more like, have I? I’ve always loved writing but nothing much more than my own diary entries. That was until I started my teacher training a couple of years ago and began to write short stories for the children. They seemed to like my writing and I wondered if I should try to put pen to paper more often. And so I decided to enter the competition. Being a bit of a scaredy pants, I persuaded my friend to join me, there was no way I was going on my own! Anyway, I won! I was mighty pleased too. My mate came second. We were well chuffed with ourselves when we left, I don’t think either of us could quite believe it. And it’s been great. After the “literary lunch” I won as part of my prize, Jane and Stephen asked if I’d like to take part in the TV pilot and go to London to meet a literary agent and have her dissect my first three chapters. Jane had warned me that Carol could be quite scary, and she certainly had a little bit of acid on her tongue. When I over exuberantly said ‘I know what you mean’ as she told me something about my writing style, Carol said ‘I don’t think you do’ in a rather clipped voice. Then she said to keep at it as I definitely had a ‘voice’ and I thought yes and you’ve definitely got a voice too and I don’t much care for it, thank you very much. But I didn’t say anything; just bit the end of my tongue off and grimaced a little. 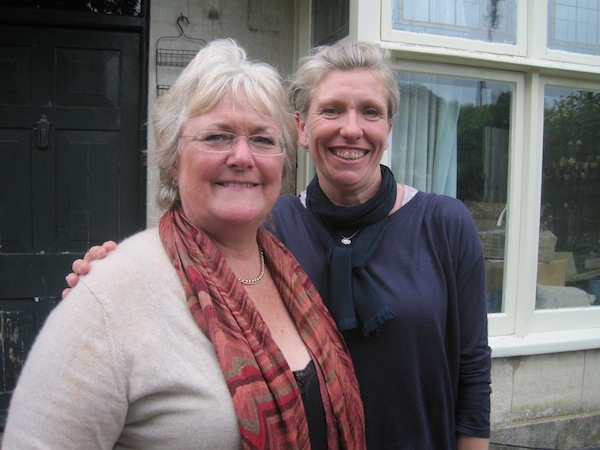 Carol gave me loads of great advice on how to improve on my writing; basically, start again. 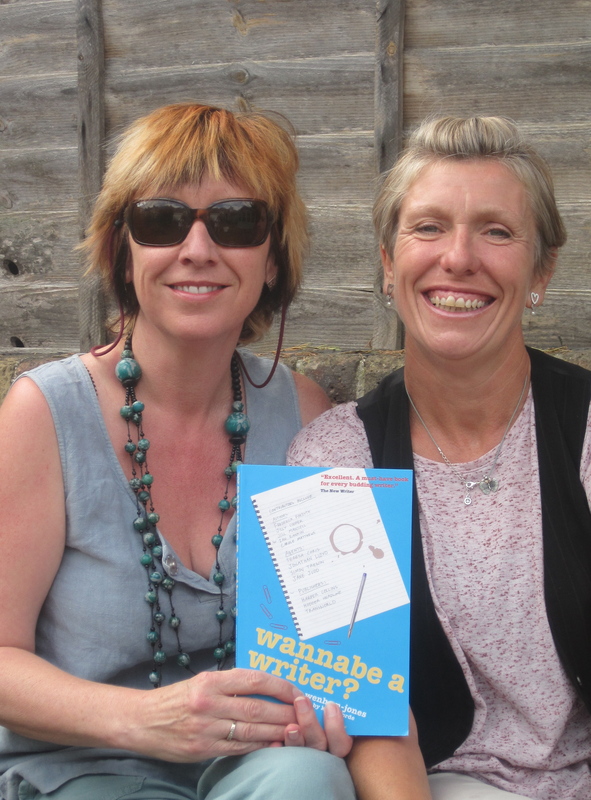 Part Two of the Wannabe a Writer TV Show was launched on 15th September when Delphine was taken to see bestselling romance novelist, Katie Fforde. Katie says: “I think this TV programme is long overdue. There are so many talent shows on TV now days and we all love them. But people who are quieter in their ambitions aren’t represented. Thousands of people try to write books and a few will succeed, but wouldn’t it be interesting and useful to offer them some help? 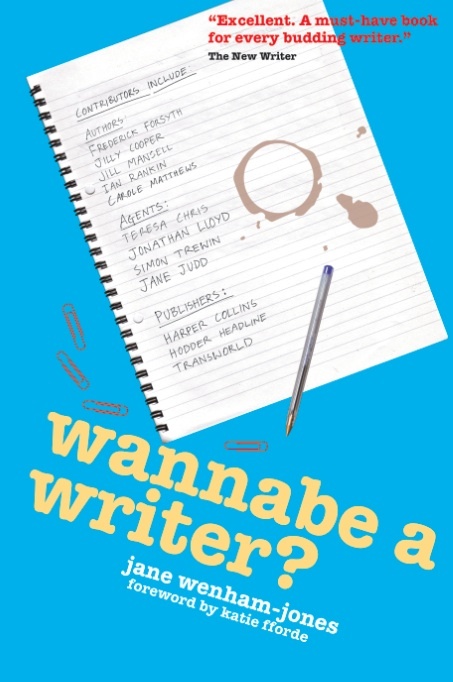 A programme like this could assist hundreds of budding authors who just need a few tips to get them going. I can’t remember exactly how long it is since we first had the idea of a TV Show for writers. But I do know that for the last two or three years, probably since the Ramsgate’s Got Writing Talent Competition (an idea conceived with the fab Marina O’Loughlin) was started, every time Stephen and I have found ourselves together, somewhere around the third drink, the conversation would turn back to how and when we could bring this grand plan to fruition (I start talking like that after about the second). I wrote a vague pitch with which we might approach the money (wo)men at various TV channels, but Stephen felt the best way to get the concept across was for us to actually make a pilot and thus the short film you can watch from this site, was born. I like to bill it as Britain’s Got Talent meets Come Dine with Me with a dash of Through the Keyhole but see what you think. Your comments and suggestions are most welcome (yes, thank you – I know I pull ridiculous faces and sound as if I have a head cold :-)) as are your applications to come on a future programme yourself. The idea is that each episode would feature a different writer – or possibly two of ’em – working in a different genre, who would be taken to a different best-selling author for advice. We have a string of top names who’ve already expressed their willingness to share their wisdom and a couple more agents prepared to enter the fray with the formidable and utterly wonderful Carole Cowell Blake – to whom we are inordinately grateful. Seriously, it was huge fun. Delphine and Carole and our Mystery Author (all will be revealed on Sept 15th) were terrific and such great people to work with. Stephen and I are still mates (I’ve written about his grouchy moments for Woman’s Weekly so I can’t pre-empt the piece here) and I for one, can’t wait to do it again. Making a half hour TV show with no budget was definitely a challenge. As a director and producer who’s worked on primetime programmes for the BBC and ITV, I’m used to working with a film crew of at least three, and sometimes as many as twenty, as well as having the benefit of fully equipped and staffed editing and post-production facilities. A typical budget for a half hour, primetime slot on a mainstream channel might be £50,000, but for Wannabe A Writer I had to think cheap (well, free actually), without compromising too much on quality. So out went the fancy cameras, sound gear, lights, and all the people you need to operate them. Instead it was just me, a runner (Jane’s son Tom, who did sterling work I have to say) and a couple of consumer camcorders, the kind you can pick up for a few hundred quid at Currys or on Amazon. I just happened to have those knocking around. And instead of spending time tweaking shots, playing with the lighting, and making sure the sound was tip-top, it was a case of grab as much as you can while we rushed from one set-up to another. That way we managed to cram what should have been five days’ filming into two and a bit. Even Jane’s voice-overs were recorded in my car (cars make surprisingly good dubbing suites, as long as the seagulls outside aren’t too noisy!). Although the sight of a man and woman sitting in a car with a video camera did cause one or two comments from the neighbours. When it came to editing, again it was just me and a laptop. The whole show was cut on iMovie, which is really the kind of editing app your 10 year old daughter would be happy making a three minute music video with, not the sophisticated software we would normally use on a half hour, broadcast programme. Getting the most out of iMovie proved an interesting conundrum, but it turned out to be surprisingly flexible, if a little glitchy when confronted with the kind of industrial editing tasks I was asking it to perform. I have promised myself a blindingly fast, new laptop and the latest version of Final Cut Pro, should Wannabe get commissioned. For all that, the end product is, I hope you’ll agree, not too shabby. It certainly stands up on YouTube, which is where viewers are increasingly turning for their TV entertainment. Just so long as any commissioning editors out there don’t get the idea that an entire series could be made this way! Hi Stephen, Your ‘on the so-cheap-it’s-free’ production beautifully illustrates the TV show idea. It also demonstrates how talent will overcome technical short-comings to produce a marketable product on a minimum budget. Well done on producing something I’d like to see in a full-length series. It was seamless. Enjoyed it very much. Do you mean me, mister miss-speller? Oops, sorry!